For the past 38 years, we have owned and operated our family farm in Kelowna and we love to share the trees that we grow with our many many wonderful customers. 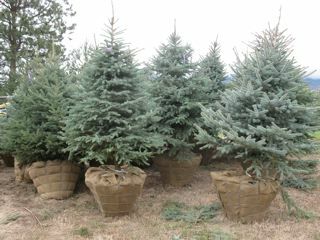 We have found that locally grown landscape trees often do better than imports from the coast or the US as they are already 'acclimatized' to this area and usually come with larger ‘root balls’, which is why we try and grow most of our trees right here in Kelowna and area and we like to dig them ourselves too. 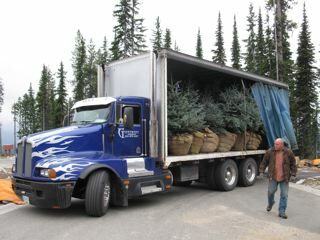 We can provide, deliver, and plant the mature conifer or deciduous trees you require and have established a trusted and treasured reputation for delivering a quality product and excellent service. 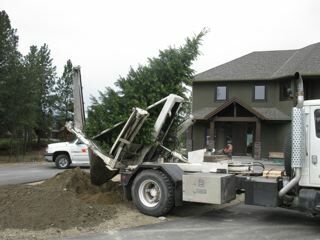 Woodhaven Tree Farm owns some of the best tree digging and moving equipment available anywhere in the Okanagan! We create ‘Privacy Belts’, and we do contract digging and moving of trees for valley residents, businesses, schools, institutions, and communities. Whatever your needs, we hope you will allow us the favor of an opportunity to meet them, and we thank you ever so much for that privilege!! !